World Listening Day Silent Soundwalks :: July 18, 2010; 10:00 am – 4:00 pm :: Greenlake Park (@ Boathouse on south end of Greenlake), 5900 West Green Lake Way N, 98103, Seattle, WA. In honor of the first World Listening Day, the Seattle Phonographers Union invites the public to participate in a series of soundwalks. This event is FREE to the public; all are welcome. Throughout the day, SPU members will guide participants on silent walks around the lake, focusing attention on the diversity and complexity of the local soundscape. Walks start near the boat house at the south end of Green Lake (5900 West Green Lake Way N, 98103), and will commence at 10 a.m., Noon, 2:00 p.m., and 4:00 p.m. Each walk will begin with a brief introduction to basic principles of Acoustic Ecology and intentional listening, and will conclude with an opportunity for participants to discuss their experience. World Listening Day celebrates the practice of intentional listening as it relates to the world around us, environmental awareness, and Acoustic Ecology. 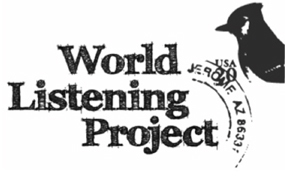 It is organized by the World Listening Project (WLP), a not-for-profit organization devoted to understanding the world and its natural environment, societies, and cultures through the practices of listening and field recording.